This door heads over to our page for Forgotten Realms Unlimited Adventures (FRUA). It's an old computer game, but it lets you create your own D&D adventures and then play them, either by yourself or with a bunch of friends! It's been a lot of fun, and the coolest thing is that the fun never has to stop! This door opens into the private viewing room of Flopsyville's resident connoisseur of film. 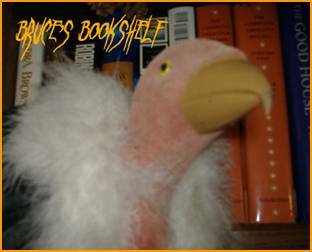 Peruse the stacks with Uncle Hopsy Ears, and find his reviews of the movies that make the grade, and those that could have been just a little bit better! And here we have the shelf of our good friend, Bruce. Now, Bruce believes that any story told on film can be told better on paper, so his discerning eye has turned toward more than a few volumes. If you'd like to read his reviews, just pop on through. He'd love to discuss books with you! Here's a new spot that's still starting to grow. 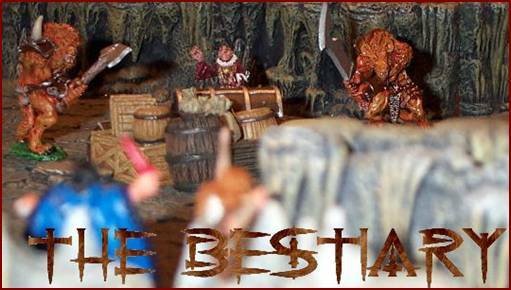 It's a place to show case all the new miniatures that get pained in da 'ville. There are few galleries here already, and sometime soon there will more! And this door? This is the door to Flopsyville! Come on in and meet all us stuffing-enhanced folks. We've got lots of stories to tell, and we're anxious to get to know you, too. This door is never locked, so feel free to come on in and say "Hi!" whenever you like! For twenty years we played through the Time of Troubles, the Great Upheaval, the Grim Harvest, the War of the Shadow, and the Darkonese Civil War. Now, all of our intertwining campaigns unite to create a single storyline moving into the uncharted future of the Lands of Mist! What do you do when you finish a campaign that ended in its fifteenth year? You start the descent to first level slowly, but with stories that have a big impact. 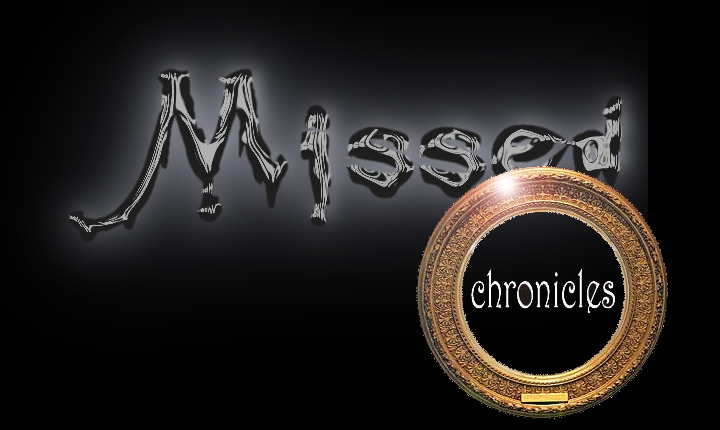 Think big, even with a more intimate scope--And thus was born the Missed Chronicles! Here is the link to the longest D&D game we've ever played. We started this one back in 1999, and it reached its big finale just after it entered its fifteenth year, in October 2013. It was set in the world of Ravenloft. We met monthly as we went from twenty-somethings to thirty-somethings. College and first jobs gave way to homes and kids, and all the while we guided our characters as they brought light into the gloom of the Mists! College brought new friends and a chance to focus on the storytelling aspect of an ongoing game. Ergosia, which ran from 1994-1996 before merging with the Vagabonds, was a product of that effort. 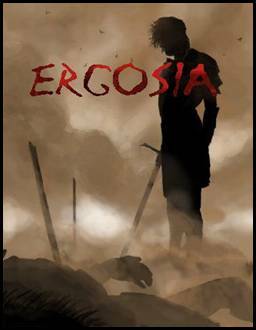 Ergosia was a Ravenloft campaign that occasionally dipped a paw into the Forgotten Realms. And it was comprised of half the party that would become The Missed! From 1991 - 2001, this decade-long campaign grew to engulf the Ergosia campaign when the players from each group met in a crossover adventure in Barovia. 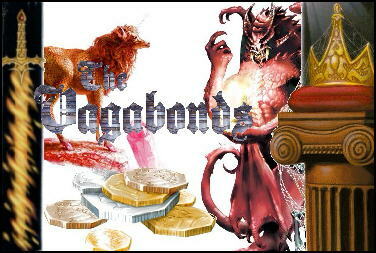 In the beginning, the Vagabonds was a Forgotten Realms game, but it kept dipping a paw into Ravenloft. In the end, it probably balanced out at about 50/50. 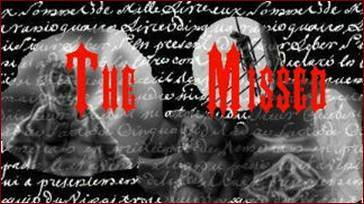 Only time will tell what the Mists will reveal after the Missed achieve their epic destinies! Hello! And Welcome to Flopsyville! This is our little home on da Web. We've been here for a little while, going all da way back to our Geocities account back in 1997. Those were some grand days, and our site just keeps on growing, and growing, and growing. "There's nothing so grand that it can't grow better on love." Here at Flopsyville, we keep links to all da things that keep us smiling. Most of it is memories of the role-playing games that we've played over da years. Mostly, it's Dungeons and Dragons. We've kept our paws mainly in Ravenloft, with some time spent in the Forgotten Realms, too. A long time ago, a boy and a girl in college met and fell in love. Then one day, while the boy was walking through a store called K-Mart, he heard a whisper from one of the shelves. He looked down, and there was a small, golden-brown fellow. 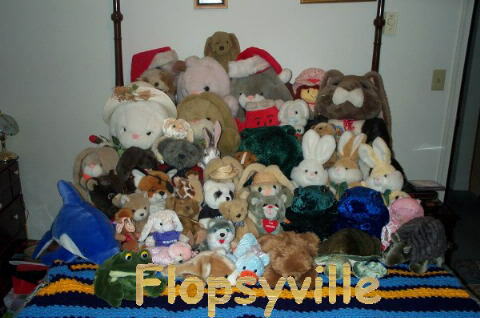 He introduced himself as Mr. Flopsy Ears, and he said that he wanted to come home and live with the boy and the girl. The boy thought that sounded swell, because Mr. Flopsy Ears couldn't have been more friendly or polite. In fact, he was the very picture of generosity and propriety. So, the boy went home with Mr. Flopsy Ears and a card to introduce him to the girl. Mr. Flopsy Ears proved how kind he was by not getting upset when the boy misspelled his name "Mr. Flospy Ears" in the card. The girl fell in love with Mr. Flopsy Ears--or as he soon became known, M.F.E., if you're into that whole brevity thing--and soon Mr. Flopsy Ears began to introduce his family members to the boy and the girl. Cousin Hopsy Ears came along, along with Uncle and Aunti, Mama and Papa, and eventually even Grandma and Grandpa. There were others, too. Like Great Granddaddy the Frog, and las ranas, Chloe, Miranda and Lily. There were Sam and Alex, and a bunch of others. One fine day, a stuffing-impaired cat came along. 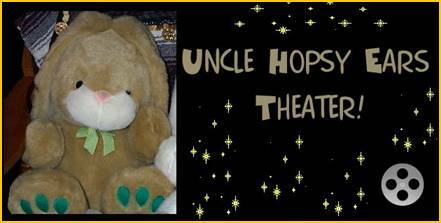 He loved da Boyz, as Mr. Flopsy Ears family and friends are known. And, of course, they love him right back. But then, something even more wonderful happened. After almost fifteen years, someone else arrived. It was a little girl, and like the boy and the girl, she was stuffing impaired. The little girl brought smiles and happiness to da 'ville that were better than all the smiles that had come before. You never need to stress, because a few dozen friends always have your back. The sun is always shining, unless you just want to sit and listen to a nice rainstorm fall.